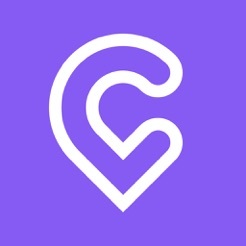 Discover Cabify, a transport app that lets you move around the city comfortably and safely with your private car and driver. Begin to travel around your city Cabify style. With just a couple of taps of the app you can order a ride. In a few minutes you’ll have a car with a chauffeur waiting to take you wherever you want. And all with high safety standards. 1. Order or reserve your journey. Open the app and tell us where you are and where you want to go. Choose the type of vehicle your want to travel in; Lite, Kids, Executive… discover all the options available in your city! 2. Confirm your journey and… a driver’s on their way! We’ll tell you the name of your driver and your vehicle details including the registration plate, and how far away it is. 3. Know the price before you travel. Forget about taximeters because we tell you from the start how much you’ll pay for the ride. What’s more, you can select the payment method that most suits you (credit or debit card, cash, PayPal… ). 4. Share the experience. You can send your journey details to family or friends so they know where you are in each moment. What’s more, you can personalize your ride. In the Cabify app, select what music your prefer, whether you want the driver to open the door for you and if you want the air-conditioning on. All so you can move around the city in the most comfortable way possible. Cabify is already available in more than 40 cities and is becoming a great alternative to owning a car or to other means of transport such as public transport or taxis. - Mexico: Mexico City, Guadalajara, Mérida, Monterrey, Querétaro, Puebla. - Colombia: Barranquilla, Bogotá, Cali, Medellín. - Chile: Concepción, Santiago, Valparaíso. - Argentina: Buenos Aires, Rosario, Mendoza. - Dominican Republic: Santo Domingo. - Brazil: Belo Horizonte, Brasilia, Campinas, Curitiba, Porto Alegre, Rio de Janeiro, Santos, São Paulo. - Spain: Barcelona, Madrid, Malaga, Seville, Valencia, Alicante. - Portugal: Lisbon, Porto, Algarve. What advantages does the Cabify app give you? - Safety for you and yours. All journeys are geolocalized and can be shared immediately with a family member or friend, so they know which car and driver you’re with and where you are. - The best drivers in the market. The selection process in Cabify is the most rigorous around. All the drivers go through a series of tests and training. - Know the price before you travel. In all our journeys we show you the price before you order a ride. This way you can travel relaxed, knowing how much you’re going to pay. - 100% personalization. You decide how you want to get around. Cabify differs from other public transport options or taxis due to how customizable it is to use. From choosing the payment method that best fits you to selecting the type of music that you’d like to hear. And all without any extra costs. - With just one account, more than 40 cities. If you like to travel with Cabify you can do so in more than ten countries without the need to create new accounts or worry about how to pay. Do you want to be a driver with Cabify? If what really moves you is helping others discover the city, join one of the fleets of drivers that use Cabify. Start to drive with a safe app that offers you the best fares. Learn more and register in cabify.com/drivers or download the Cabify Drivers app. Looking for corporate transport options for your business? Offer your employees the best cars and drivers, with Cabify. Our corporate service will allow you to have a large fleet of vehicles at your disposal, designed to meet all your company’s needs. In addition, our management platform will allow you to have greater control of expenses and journeys made. Find out more at cabify.com/business. We're working hard to make sure you've got the whole city within reach via our app. In this version we've made a few adjustments to improve your experience. Do you like our app? Remember that you can rate it and leave us a comment. Your opinion is vital for us to improve! Bad service. Poor app. Beware!!! The taxi i ordered kept driving away from my destination farther and farther. while he was supposed to show up from 1.8km away he drove away to 3.8km away and i could see him driving away. When i called him he kept saying i am coming while on the map he was moving away. It took him too long while i was waiting with kids so i cancelled the trip. Then i saw i was charged for the trip!! I tried to see on the app how i could report that and request a refund but there was no place i could do so. My 1st experience with cabify. Bad service and bad app. Pity. To make it even worse when i finally was able to write to their customer service they insisted on the charge and refused to refund. A bunch of thieves to say the least. You give them your credit card details and they abuse it! How can i not cancel the trip if the driver is not showing up? I am the one who should demand compensation for the inconvenience that i had to go through trying to find another taxi with two kids stranded on the street. Thieves!!! Will never use again!!! Beware!!! Decent app; watch out for overcharges. This is a fine “me too” app, copying Lyft and Uber and applying it in Spain. The software works as advertised. Lima enjoys Uber, Beat, EasyTaxi and Cabify. My ranking for quality of service would be Cabify first, then Best and then Uber (I haven’t used EasyTaxi). The requirements that Cabify set to their drivers are much higher than for the other systems. Also cabify treats their drivers more fairly with an insurance for the driver AND customers. They have set the standard for others to follow. The app has an additional feature worth mentioning that is not present in the other apps: you can schedule a ride in advance. And it does it smartly. Cabify will notify nearby drivers with the right time in advance depending on traffic conditions so they are on time at the pick-up point at he requested time.